Another reason to love Michigan - The Hard Lessons. Julie and I went to the Local First party in downtown Grand Rapids for my birthday (6/13). We had some great beer and good food, there was a band playing but they didn't grab either of us. After our second beer and stuffed tummies, we decided to head home. Julie stopped for a smoke and we were outside the roped in area the party was in, but we were up by the stage - over to one side. The Hard Lessons were setting up and did their sound check. They got my attention - Augie knows his way around the guitar, the chemistry between he and Korin was palpabable and Ryan was drumming with authority. This was just the sound check and they had us! We stayed for the show and were waaaay impressed. Dan Howe, Kerry Smith, Charlie Eggerding and Biff Birdsall of the world famous Putt Tones. When we got wind of the Putt-Tones softball team and their 30 year history, we thought for sure someone was pulling our leg so it was off to Belknap Park to see these guys first hand. 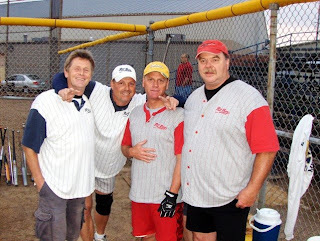 Turns out the report was true; three core members of the team have a 30 year history of playing softball together. Right before the 1980 season three brothers hatched the idea of forming a softball team. Art, Charlie, and Tim Eggerding decided the first guy they would recruit would be their buddy down the street, Dan Howe. I always like the July issue of the Reader's Digest - it is packed full of great things about America and Americans. Fer instance - just found out about a race car driver who is trying to turn the sport green! 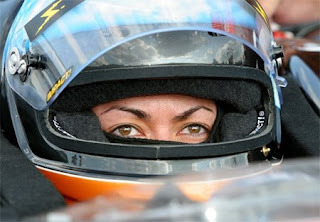 Her name is Leilani Munter and she is a woman on a mission - at 200 mph! 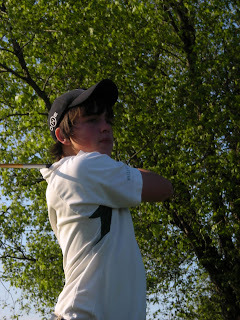 Keegan Pawloski started golfing at 3. Keegan Pawloski, a Wayland junior, spends a lot of time on the golf links which is just fine with the Wildcats team and golf coach Allen Brewer. We could probably lay the blame for Keegan’s attention to the sport at the feet of his grandfather; Gary Biermacher. It seems that Grandpa had Keegan out on the driving range at the ripe old age of three with a set of clubs that were cut down to size. Keegan still remembers that day and keeps some photos as a reminder. Pawloski shot his first nine holes by the time he was six. As you might expect, eleven years and a whole lot more rounds of golf later, Keegan is an accomplished golfer. He has played varsity for the Wildcats since he was a freshman and has been All Conference the last two seasons. His overall average for this past season is 39.1 and in conference play he is at 39.5. He can place his drives out about 290 to 300 yards. AHRMA - Vintage Bike Racing at It's Best. The author preps for a spin as a monkey with Bob Demetrius. This article appeared in the May 2009 issue of Rider Magazine. If you have any interest in hanging around vintage motorcycles and people who are passionate about them or if you are entertaining the notion of doing some racing yourself, then you owe it to yourself to investigate the American Historical Racing Motorcycle Association (AHRMA). My riding buddy Gale Smith and I experienced an AHRMA event at Grattan Raceway and it was fantastic. Motorcycles are the lifeblood of AHRMA and the heartbeat is provided by a great bunch of people. Manuel Martinez - A surprise from Spain for Kent City golf team. Kent City golf coach Ross Willick and his team received a surprise from Spain this season – an exchange student from La Coruna in the North West part of Spain who just so happened to be a very good golfer. His full name is Manuel Martinez Ubago Alvarez Sotomayor, but around Kent City he skips the last four and goes by Manuel Martinez. Willick is also a basketball coach and that is how he initially met Manuel. Martinez is much happier playing soccer or rugby, but decided to broaden his horizons while in the US and try out for the basketball team even though he had no experience playing the sport with a team. He related that he was “looking to have fun” and learn more about b-ball. He made the jv team and actually was able to play for short periods of time in a few games. It was while they were waiting for the bus to take them to an away game that Martinez mentioned to coach Willick that he knew how to golf. Why is GM Bankrupt - how about this? This piece was originally written in 2005. 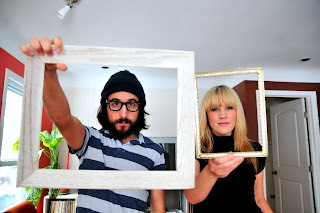 The perspective I started with was how much I was impressed by John Densmore, drummer for the Doors, because he refused to sell his music - no matter how ridiculously high the offers were.